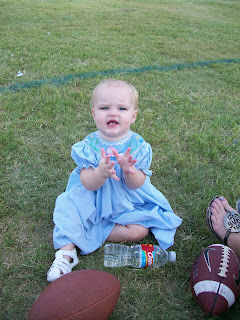 Immediately after the Lacrosse game on Sunday, we headed straight for Little Man's first football game of the season. 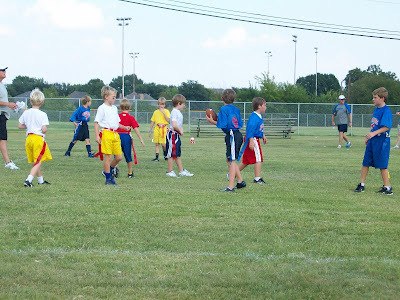 This is our last year to play flag-football. The new element for this year is that it's kid-Quarterback. It's been Coach-Quarterback for the last two years. They fought hard, but lost in the end. I'm a sucker for a cute baby.